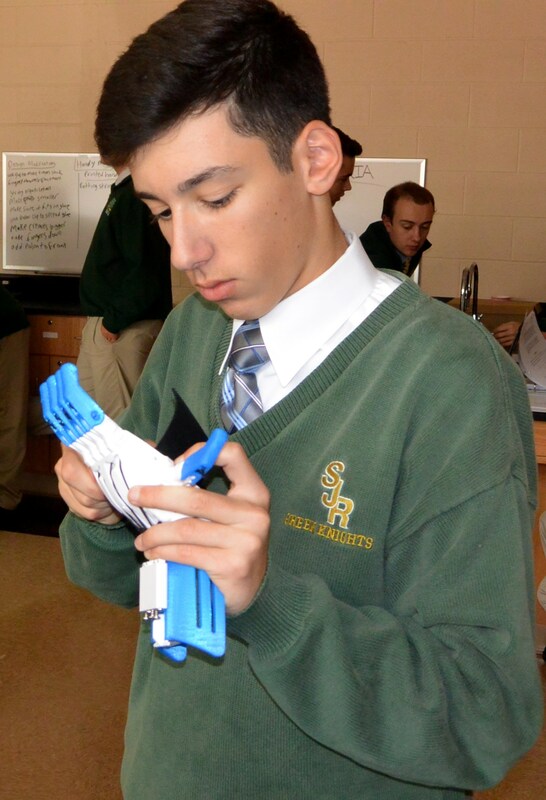 The best project I worked on in my senior year engineering elective was the 3D printed prosthetic hand. We learned the mechanics of the hand and how bones, muscles, tendons and ligaments functioned. We also learned about the concept of 3D Printing, and, because our hand was going to be sent to a hospital in Venezuela for use by an amputee in need, the economic/global effect of designs. This project taught me how to work efficiently, especially since there was a consumer waiting for our hand. Unlike traditional classes, the Engineering class required no tests. Our grades were based on written essays, our designs and structure in the lab, the lab manuals we prepared, and class participation/teamwork. This took the stress out of cramming for tests and shifted the learning into real-world applications. Everything we did in class had a connection to reality. Whether it was prosthetic hands for children or solar energy to benefit the classroom, we knew our work was making a difference. And the class also included many webinars (online seminars provided by various universities) that focused on current topics, including biomedical applications in medicine, structural changes on bridges and buildings, and even how weather can impact structural designs. This class influenced me in many ways. As a career, I intend to pursue medicine, which requires the ability to work as part of a team. This class helped me open up to other ideas and work with my fellow students to help them achieve their goals. I am thrilled I had the opportunity to take this class.